Terrorism is intentionally using violence to inflict fear and pain with a financial, political, or ideological aim. Terrorism has been in existence for a very long time and can be traced to the 1700s. However, one of the leading incidences that cannot be forgotten about terrorism is the 9/11 attacked that happen in the here in the US. The attack took place on the eleventh of September two thousand and one (11/9/2001). The attack claimed over 2,900 lives and over 6000 people injured. The strike cost the country over ten billion worth of infrastructure and property (History.com Staff, 2010). Another incident is one that happened recently in Paris. The terrorist attack took place on the thirteenth of November in 2015 which left hundreds of people injured, some in critical condition and 130 of them dead ("Paris attacks: What happened on the night," 2015). The September eleventh attack formed the basis of world history in the war on terror. With a death toll of almost 3000 people, the attack was the deadliest incident the world had ever seen and therefore making the world take terrorism as a serious issue that needed to be checked hence the beginning of the war on terror. What followed the attack was the invasion of Afghanistan and Iraq in 2001 and 2003 respectively by the government of the United States. Prior the 9/11, terrorism was concentrated in Latin America, but after the attack, this shifted to Asia and more specifically Iraq where more than a quarter of the terrorist attacks took place here between 2001 and 2008 (Roser, Nagdy & Ritchie, 2018). In a study conducted on were on terror, it was discovered that over 219,000 deaths in Iraq were reported based on the report around 2003. Acts of terrorism are usually secularly or religiously motivated. For a country to be able to fight against terrorism, it needs to identify what are the possible scenarios of the country. For example, in countries with a huge number of religious extremist, it is possible to predict that a religiously motivated terrorism act may happen and deploy countermeasure for the action. A good example of a religious and politically motivated terrorism act is the 9/11 where the mastermind of the whole attack was retaliating against the U.S for supporting Israel. The attack was undertaken by the Islamic terrorist from Arad nations and also from Saudi Arabia. The attacks were said to have been funded by al-Qaeda a terrorist group run by the religious extremist and fugitive Osama bin Laden. Understanding the motivation of the terrorist would help in the war against terror where it is easy to predict what the terrorist will do and therefore combat it before it happens (Schinasi, 2015). 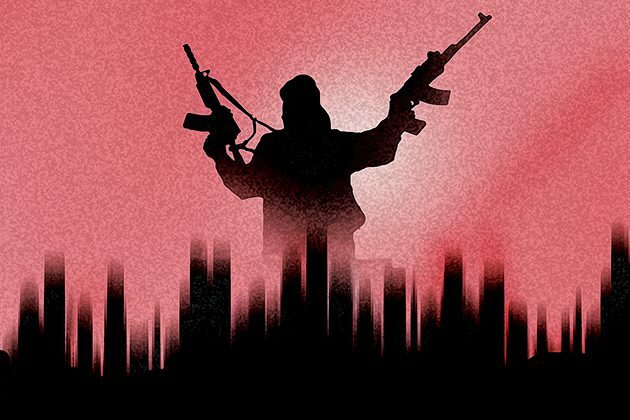 It is essential to assess and analyze the potential of a terrorist organization and know their objective, other than just identifying the motivation of the terrorist group to combat terrorism. It is through this analysis that a country can be able to know what they are fighting against and come up with tactics that are uniquely suited to deal with the threat. Building a relation between the society and the terrorist organization is one of the ways of counteracting and preventing violent behavior. Isolating the individuals, make them feel the need to use violence and protest to try and explain their ideology to the society but with their inclusion, they will not see it necessary to attack. After the 9/11 attacks, these efforts were put in place to try and integrate individuals from these groups, countering the growth of religious terrorists through educational anti-hate programs to reduce ignorance (Schinasi, 2015). Had the government in the US known about the planned attack by al-Qaeda through the assessment process, the country would not have suffered the loss of over 3000 lives. Assessing the organization is a critical element of the fight against terrorism, therefore, a core element in the war on terror. It is essential to use all the means necessary to counterterrorism activities that might lead to loss of lives like what happened in the US or France.